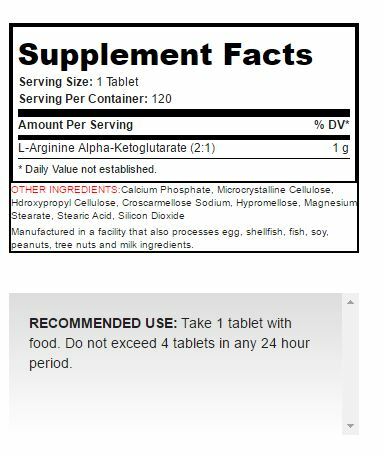 AAKG is a potent and well known nitric oxide booster. Consisting of 2 Arginine molecules bonded to 1 Alpha-Ketoglutarate molecule in a perfect 2:1 ratio, SAN’s AAKG increases vasodilation, which in turn helps deliver more oxygen and performance-enhancing nutrients directly to your muscles. Research has shown that supplementing with AAKG assists with increased protein synthesis, helps to decrease protein catabolism & supports insulin secretion thus assisting the uptake of amino acids and glucose into the muscle cells. Many AAKG users also report notable increases in strength during weight training. SAN’s AAKG is a simple-to-use, yet efficient nitric oxide precursor that can help power you through tough workouts while helping to increase lean muscle mass and reduce muscle breakdown.